The AirSafe.com site Plane-Crash-Videos.net has two new postings this past week. The first is about a September 2009 crash of an Ilyushin 76 during an air show in Teheran, Iran. All seven crew members were killed after the aircraft broke up in flight and crashed. The newest event was not a crash, but came very, very close to being a disaster for both the crew on the aircraft and several bystanders on the ground. Apparently, the pilot of an Argentinian Air Force trainer flew the aircraft directly at a group of people on the ground, getting down to about three feet (one meter) off the ground. There were two videos, one from the aircraft, which included data from the head up display, and a second video taken from the ground. 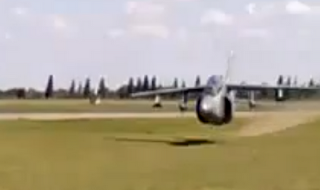 The still picture below, taken from one of the videos, shows just close this aircraft came to the crashing. 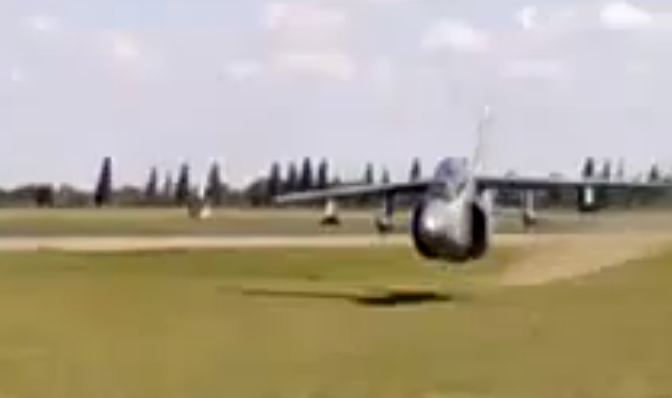 For examples of what kind of videos we like, look at some of the postings at Plane-Crash-Videos.net. Not all of the videos involved crashes, and in the case of private aircraft accident in Palo Alto, CA, did not have a video associated with it. However, it did have two very dramatic audio recordings of the actual crash.